Ford pulled it off. 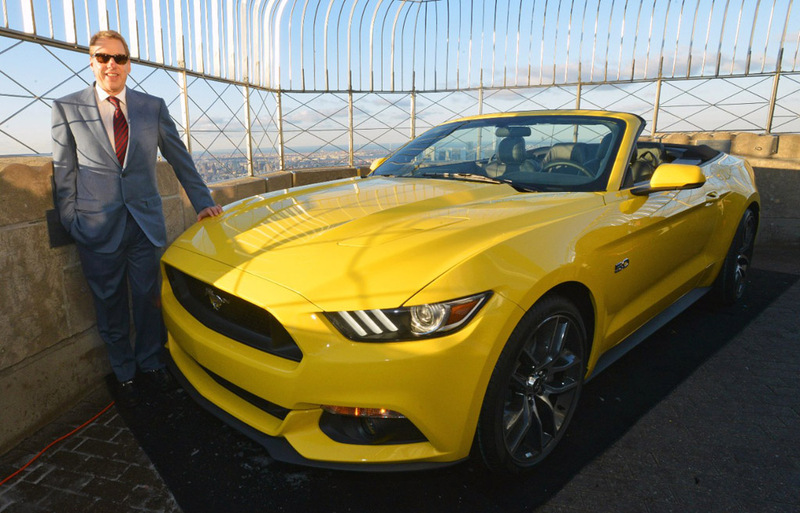 They have recreated what took place 50 years ago on top of the Empire State Building – a New Ford Mustang resides. 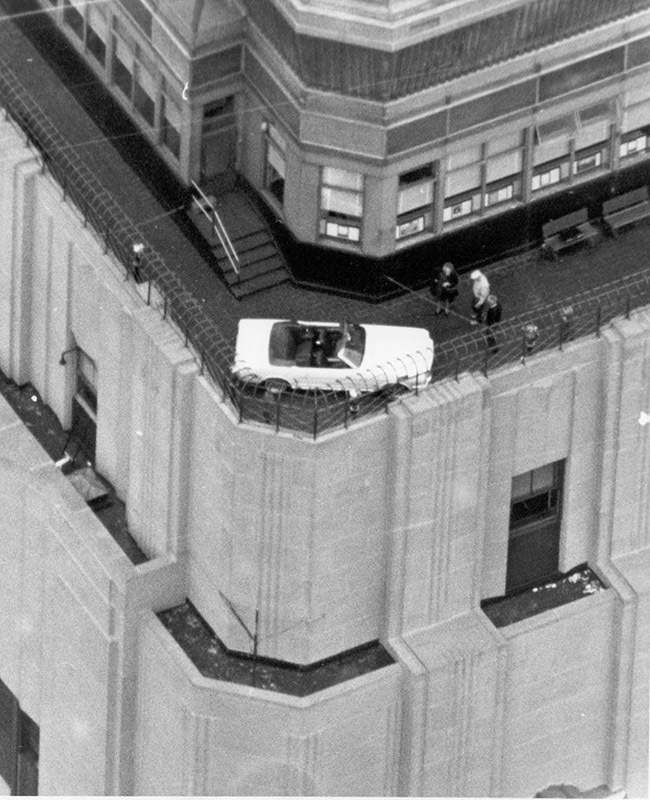 In 1964 Ford took a Mustang convertible in pieces to the top of the Empire State Building. 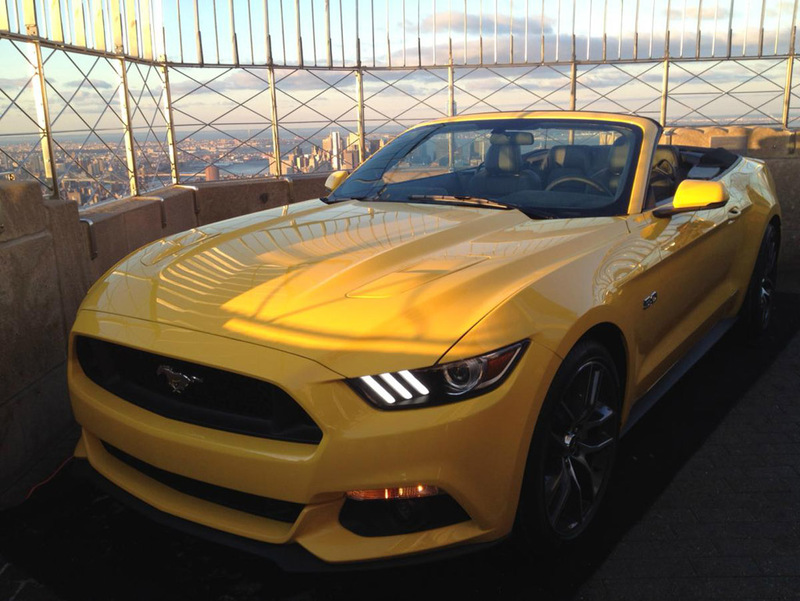 Now, 50 years later, it is happening again only with the all-new 2015 Ford Mustang convertible that you see here. In a world where tiny startups are regularly swallowed up by established behemoths, Ford Motor Company and Romulus, Mich.-based DST Industries have been collaborators for nearly six decades. 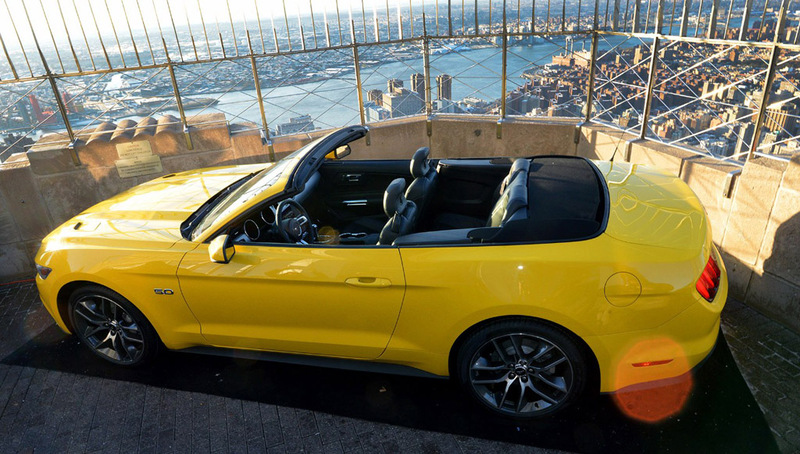 In 1965 – the only other time in the Empire State Building’s 83-year history a car was displayed on its open-air deck – a DST crew was on hand to show off that Mustang convertible. 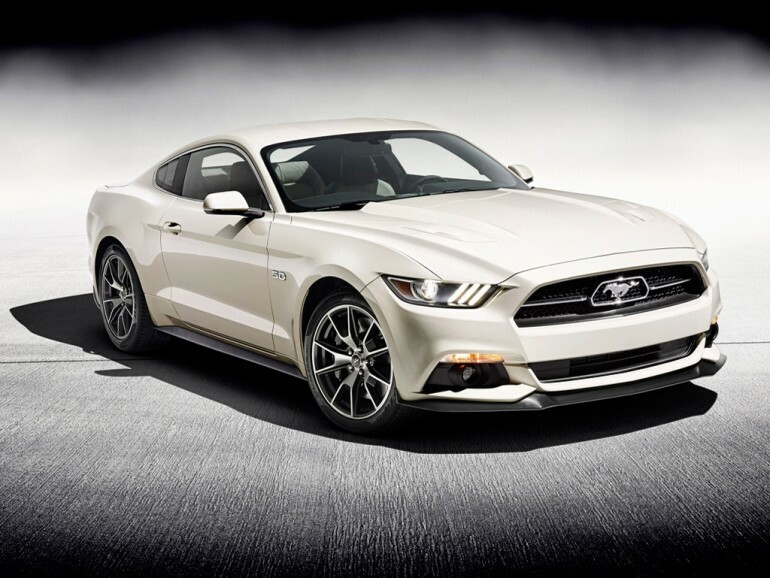 Fifty years after debuting one of the world’s most popular cars, Ford is marking the milestone by revealing a Mustang 50 Year Limited Edition. Created to honor five decades of Mustang heritage, only 1,964 examples of the 50 Year Limited Edition will ever be built when it goes on sale this fall.